I’m not exactly sure how director/screenwriter Harold Ramis came up with the idea to connect this February faux-holiday with the story of a guy who keeps living the same day over and over until he gets it right, but it’s clear that most of us experience “Groundhog Day” in our workplaces–and on more days than Feb. 2. 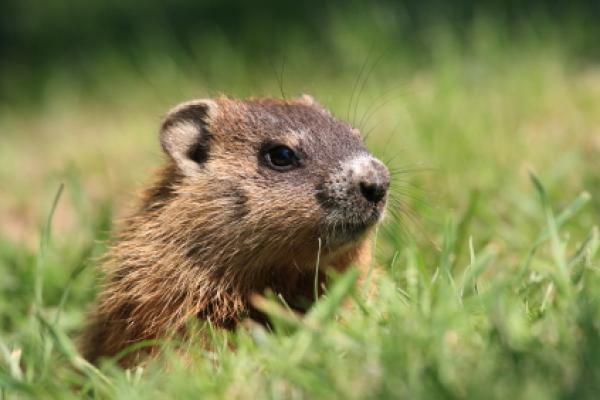 If that’s you, maybe it’s time to try these five ways to can snap out of your own “Groundhog Day” at work–any day of the week. 1. Say something you’ve been afraid to say. What’s the question you’ve been dying to ask of your boss? What’s the suggestion you keep thinking of over and over in the staff meeting–but have yet to voice it? Who do you need to confront or challenge–even when it may not be pretty. Say what you need to say, and you’ll stop repeating the same frustrations. Want to shake things up with your colleagues? Tell them something nice about themselves. “Bob, I just wanted to say that I’ve noticed what great ideas you’re bringing to meetings. You’ve challenged my thinking, and I really appreciate it. Just wanted you to know.” Where could you change the conversation by using an honest, genuine, and unexpected compliment? 3. Close your eyes for 10 minutes. Just a short trip–to Tahiti, the Bahamas, to grandma’s house. Let your brain reset. 4. Take the thing that stays on your list, off your list. You know the one I mean–that “to do” that keeps screaming “you should, you should”–yet you don’t. If you haven’t done it by now, why kid yourself? Take it off your list. Notice how it feels not to take up valuable brain space (and list space!) with it. And pay attention to whether anyone really notices–or cares. 5. Schedule a chat with a professional coach. You can’t read the label from inside the jar. Sometimes a little outside help is all you need to get unstuck. It’s free to schedule a confidential 30-minute chat with me here. Pick a time and day that works, answer a few short questions, and I’ll call you at the time you set. You’re too amazing to live in your groundhog day, over and over. Let’s move forward.